As you may have heard from our Facebook “LIVE” event, we are headed to Europe for a Baltic cruise this summer. While there are tons of things we’re looking forward to (i.e. visiting the Hermitage Museum in St. Petersburg, Russia; exploring Stockholm, Sweden; and seeing Tallinn, Estonia for the first time) we thought we’d share a few of the things we’re NOT looking forward to, as well. 1. Not having to go to the store, cook, or do the dishes. Modern grocery stores are amazing places. I recently read that in the 1990’s there were about 9,000 products in grocery stores. Today, there are about 40,000. None of this matters when we’re on-board the ship. Someone else has done the shopping and preparation and all we have to do is take a seat and enjoy the food. It’s glorious! 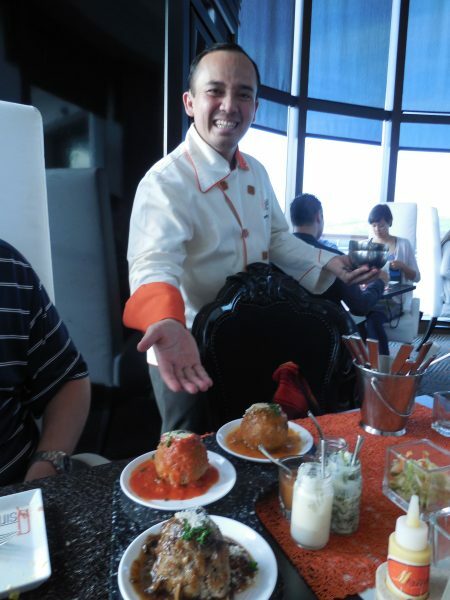 Our server, Sambal, presents a trio of oversized meatballs at QSine aboard the Celebrity Millennium on our way to Alaska. Often, Ann and I will put in a little extra effort to make a special meal at home. Ann has become quite a cook, and some of her recipes require multiple steps and many ingredients mixed in several bowls. It’s delicious, and less expensive than eating out, but the cost is a pile of dishes at the end that need to be washed, dried, and put away. (And we all know that nothing puts a damper on a romantic evening quite like dishpan hands.) However, when you are on-board a cruise ship, you can sit and savor a delicious gourmet meal secure in the knowledge that those plates, bowls, cups, spoons, saucers, etc. will all be expertly cleaned — by someone else. It is such a luxury and if we can enjoy it a few days a years, we do. There is a certain freedom when you’re in a place where don’t know anyone. We don’t have that much in our daily lives in small-town America (pop.7,200). We typically can’t go to the grocery store without running into someone we know and most of the time, we don’t mind that. However, there’s something intriguing about being on a ship with people you’ve never met before. We love meeting people from all over the world, the new accents, customs, and cultures. 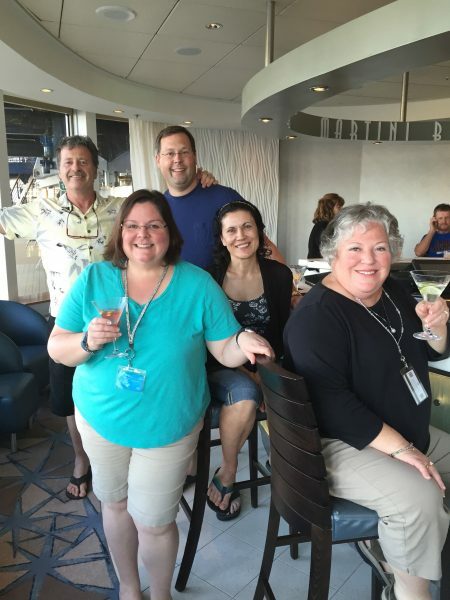 We have made friends on each cruise we’ve taken and enjoyed interesting conversations over meals or relaxing at the bar. For us, meeting new people is invigorating and downright fun. We really enjoyed having cocktails with this Chicago couple we met at the Martini Bar on the Celebrity Constellation in the Caribbean. 3. Not having to pack every day. One of the best things about a cruise vacation is that we board the ship, unpack, and then don’t have to pack again until we leave. We are able to put things away in drawers and closets and personalize our cabin a little bit — after all, this vessel serves as our “hotel” for a while. What we love most is that we get to see lots of places and view new cities each day, and the hotel moves with us. No unpacking and packing, no figuring out a new TV remote, and no finding our way around a new place. It is great to be able to visit several cities while always coming back to the same, comfortable room. 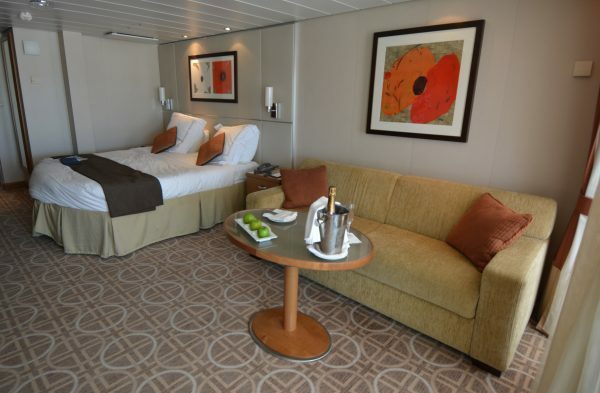 Staying in the same room for the duration of our cruise allows us to visit lots of new sites, experience new cultures first-hand, learn history and see the world without ever having to “check out” in between stops. At the end of each day, we return to our cabin, clean up, go to dinner, and maybe catch a show before going to bed. And the next day, we are someplace new and we do it all over again. It’s a comfortable rhythm that we can get used to easily. 4. Not having to worry about what we’ll do tomorrow. 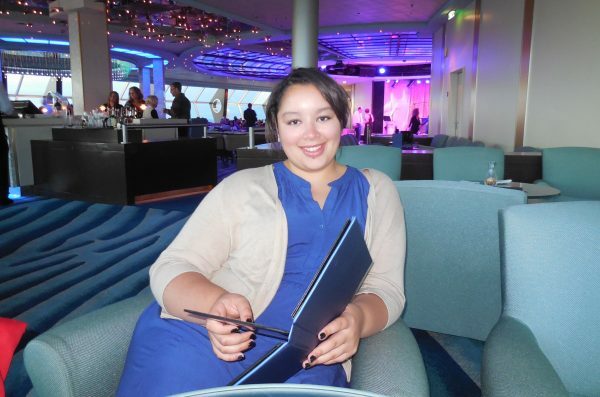 On a cruise, there is always something to do. When we’re feeling energized, we can take a walk, go for a swim, see a show, or test our skills in trivia. When we’re eager to learn, there are plenty of opportunities to take a cooking class, tour the ship, or pick out a new book in the library. And when we want to simply rest and relax, a cruise ship is the perfect place to do that. We’ve spent hours just sitting at a lounge at the bow of the ship watching the horizon or sitting by the pool with a cool drink and not a care in the world. In port, the options multiply even further with opportunities to explore local cuisine, culture, architecture, art, or even beaches. We have been on three cruises, and I have never uttered (nor have I ever heard) the words, “I’m bored.” The truth is, we almost never have time to do everything we want to do. We love that you can do as much, or as little as you’d like on a cruise ship. 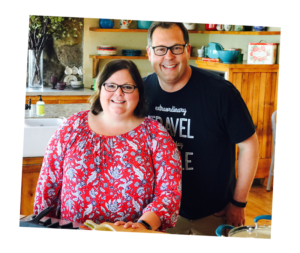 It’s the perfect vacation for us and a great mix of rest, relaxation, and exploration. 5. Not being disappointed with the view. Sometimes if you stay in a land-based hotel the view can be less than stellar. We’ve had views of roofs, the air-conditioning units, and the wall of the next building over. Last summer, we blew a bunch of Hilton Honors points on what was described as a scenic “Rome View” room. In actuality, our view was of the pool and tall trees which completely blocked the view of City. Even if you score that coveted room that looks out onto the beach, the view never changes–it is the same day after day. We looked forward to waking each morning to a fantastic view from our balcony of a new city like this one in Ajaccio, Corsica. And we didn’t have to do the dishes! On a cruise ship, the view is almost always fabulous, and it changes every day, sometimes every minute. 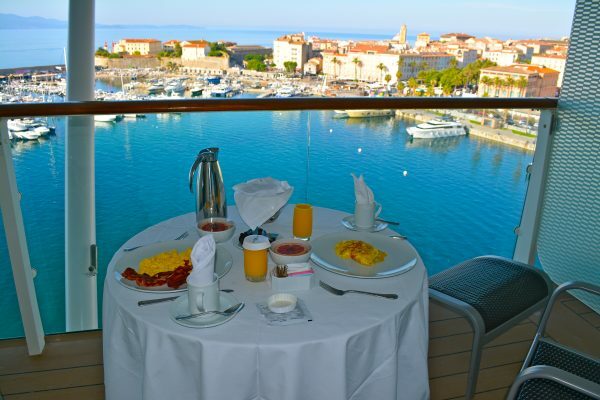 When we’re cruising, one of the things we look forward to most is opening the curtain in the morning and discovering the new view that day. They rarely disappoint. If you’ve been on a cruise, what are things you don’t miss? Let us know in the comment section below, we’d love to hear from you.